This is a neat writing prompt for Death of a Salesman. 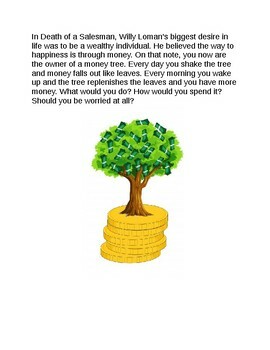 It is mostly creative writing based and deals with how the students view the world, including the importance of money. Good for all ages and levels!